Alister McGrath on Atheism, Christianity, Religion and Science. Your source for ST:TAS material. APOD: 2005 July 24 – A Chicago Meteorite Fall. A meteorite fragment punched right into this guy’s home. JPL’s next Mars mission, launching on Thursday. SPACE.com — Touchdown! Discovery Lands Safely in California. The Star Trek animated series was really an excellent show. That’s another one I need to get for my son and I to watch! I lived at Edwards AFB for 14 years. The shuttle landing made me miss it quite a bit. I think the last Edwards landing was the week I was moving. It was so cool. Sigh. Were you conscious of having watched this when writing the previously-alluded-to Trek fanfic? 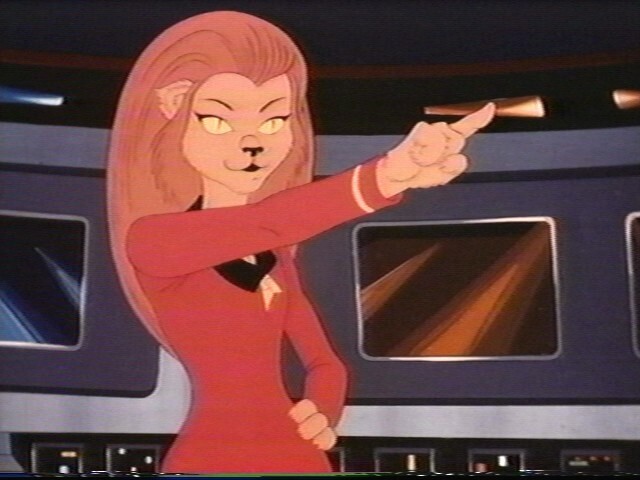 I saw it after my fanfic phase, but my alien catgirls wore the maroon movie uniforms.